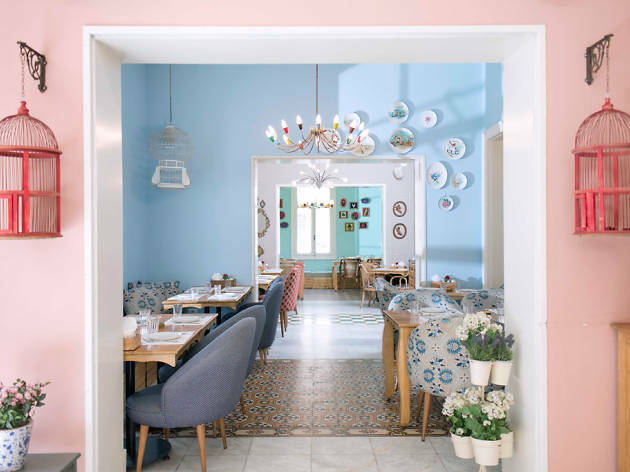 This classic of the Mar Mikhael scene offers some of the best mezze, and one of the most enjoyable dining experiences, in the area. Located on the first floor of a former French colonial house, the sprawling restaurant dwarfs its neighbours, and you’ll never struggle to find a table. 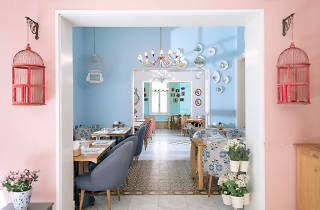 There's something thrillingly chaotic about the place: surrounded by crowds of diners, you can’t help but marvel at the never-ending conveyer belt of waiters dishing out mezze left, right and centre, as nargileh smoke from the adjoining terrace curls above their heads. The sightly restoration job on the house, all pastel-painted furniture and twinkling chandeliers, only adds to the vaguely fairytale ambience. Don't leave without trying the soujok hot pot and the chicken kafta.